Welcome to the innovative world of InSinkErator. A world of market-leading solutions for the modern kitchen. From the planet’s best-selling range of food waste disposers to stylish and affordable steaming hot water taps, InSinkErator is the benchmark for style and convenience. 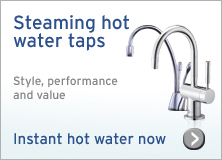 If you need an answer to the messy issue of food waste disposals, or fancy joining the trend for hot water taps, InSinkErator is the brand to trust. 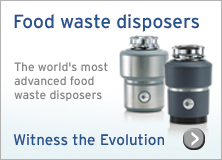 We invented food waste disposers, and we are leaders in hot water taps.